Killington is open. Mount Snow is open. Snow is falling up north, and the White Mountains turned very white this past week. The trees aren’t barren of leaves down here along the coast just yet, but up north winter has crept in. And Avie’s ski and ride trips list 2019 is ready. 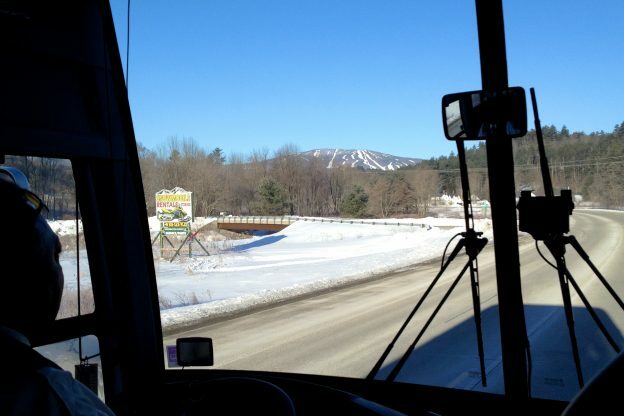 Avie’s Ski / Sports has put together it’s ski and ride bus trip list for 2019. This year we visit Mount Snow, Stratton, Okemo and Killington in Vermont, and Loon and Waterville Valley in New Hampshire. For those of you able, or willing, to break away on a Wednesday, Avie’s has trips going to Okemo, Loon and Killington mid-week so you can ski and ride on days when the crowds are thin. And, if the weather holds, there is even a Bonus trip on the Sunday after the Customer Appreciation Trip, which traditionally is the last Avie’s trip of the year. Why? Because the last couple of years the snow has still been good through end of March and even into early April. Prices are still being determined, but Avie’s Ski / Sports always gives it’s ski and ride bus trip patrons the absolute best price that can be gotten. You can bet that the deal will be about the same as always. You get transportation to and from the mountain AND a lift ticket for about what it would cost you to purchase only the lift ticket. Pretty sweet deal. And you don’t have to drive. Just chill and watch a movie, or just nod off for a few hours. All trips originate from Avie’s Ski / Sports in Westerly, RI. For trips heading to a ski and ride destination in Vermont, there is a pick up at the Crystal Mall in Waterford, CT. Details are on the Avie’s Ski and Ride Trip page. 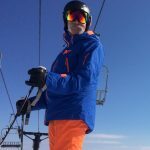 Here’s a couple tips for Avie’s Ski / Sports ski and ride trips. First—These are a phenomenal deal. Family oriented. And fun. Second—If you can get away on a Wednesday, these trips are the absolute best. The crowds don’t exist. You ski onto the lift all day long. It’s an exhaustingly fun day! Third—Super Bowl Sunday the trip goes to Mount Snow, the quickest mountain to get to. NO ONE is on the slopes that day, especially in the afternoon. And the bus gets you back home at about half-time. Avie’s Ski / Sports is looking forward to another incredible ski and ride season. And we look forward to sharing it with you. The website has been refurbished and is flush with great information. Check it out, especially if you are contemplating purchasing new skis or boots this season. There is a new page—Skier Need To Know-Skis—to help you think through that new ski purchase (boots coming soon!). And right now Avie’s is flush with everything you want and need to make 2019 a great season in the snow. Stop in and stock up for the season. And be sure to mark up your 2019 calendar with your Avie’s Ski and Ride trips!! I know I have. And I can’t wait to see old friends, and meet new ones. This entry was posted in Store Events on October 31, 2018 by Alan Desbonnet.